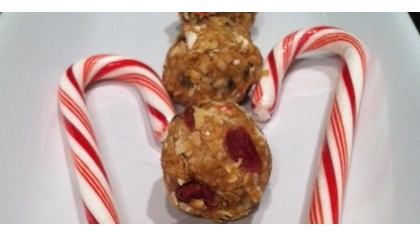 Cranberry peppermint reindeer bites are a delicious no bake option. Santa's reindeer aren't the only ones who will love these wholesome no-bake cookies made with oats, cranberries, honey, coconut, peanut butter, flax seed, peppermint and chocolate chips! Stir all ingredients in a medium bowl until well mixed.